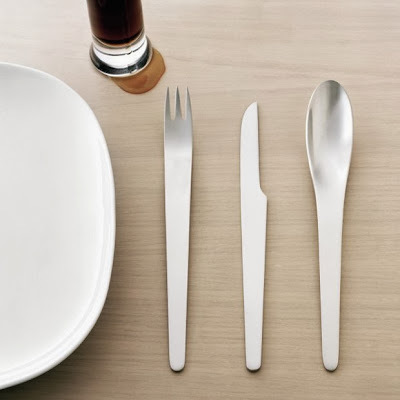 Collection of "Modern and Unique Cutlery Designs" from all over the world. 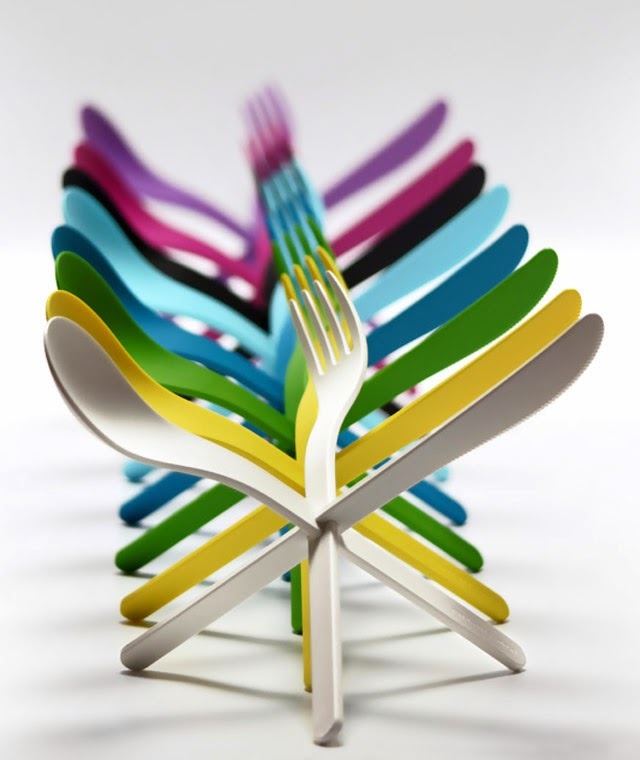 Knife Fork and Spoon: Knife Fork and Spoon is a colorful, personal and light weight cutlery set for the office or is great for the outdoors. 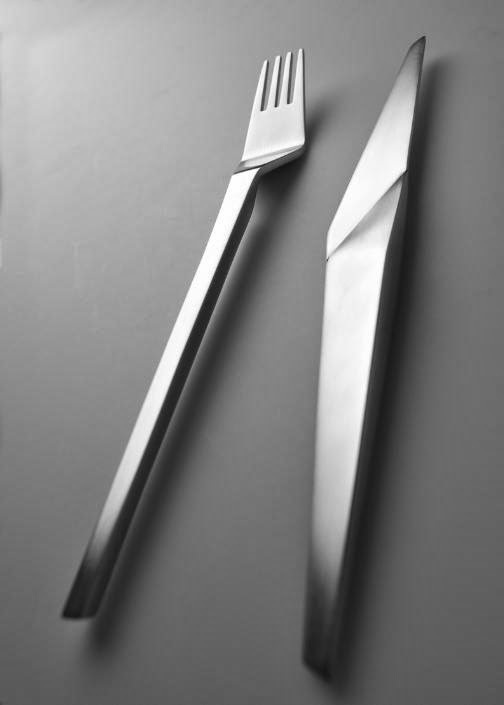 MU Cutlery: This stainless steel cutlery comes with slim handles that has a hexagonal profile at the tip. 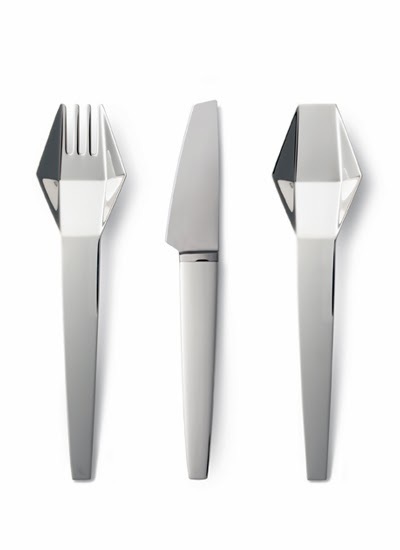 Mu means "hexagon" in Japanese, and it was designed by Toyo Ito for Alessi. 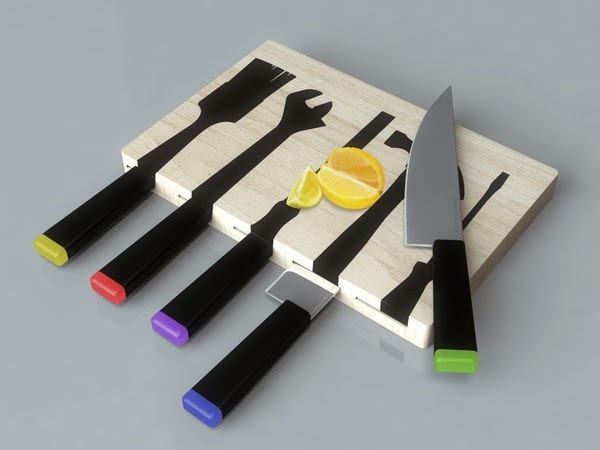 Cutlery Toolkit: This cutlery toolkit was designed to bring more fun and surprise to the kitchen; seems to be inspired from the way tools are displayed in old garages and hardware shops. 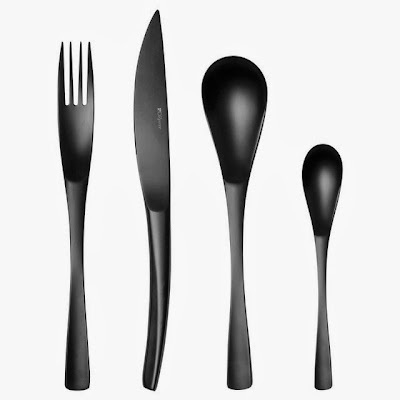 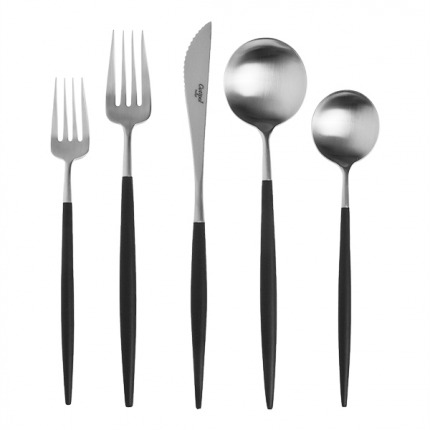 Black Stainless Steel Cutlery: This elegant cutlery set has a fluid design. Picnic Cutlery and Napkin Set: This birch wood cutlery set, designed by Selab+Alessandro Zambelli for Seletti of Italy; it comes enclosed in a silk-screened brown paper pouch that includes a full-size, three piece utensil set with a bleached cotton napkin. 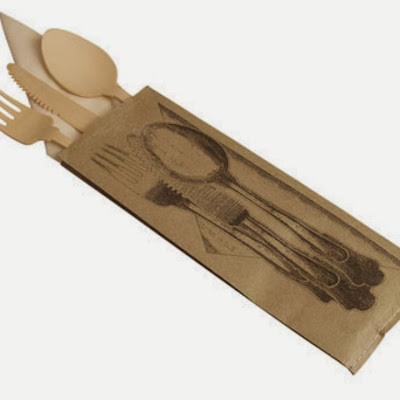 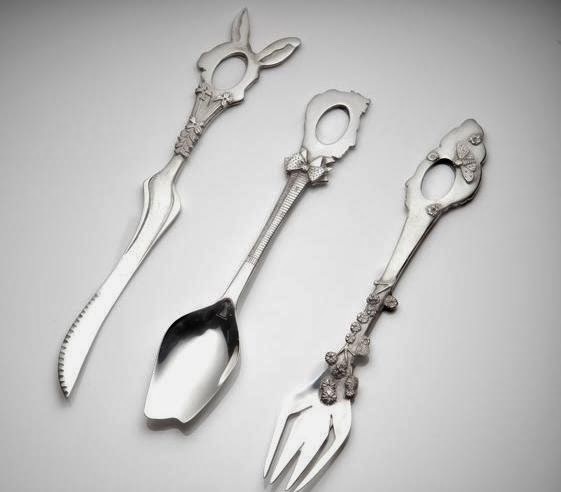 Goa Cutlery: This artisanal cutlery set comes from Cutipol products, village of Sao Martinho de Sande, Portugal. Cutt Cutlery Set: Cutt cutlery set designed by Feichtner, is only defined by a few points, lines and areas. 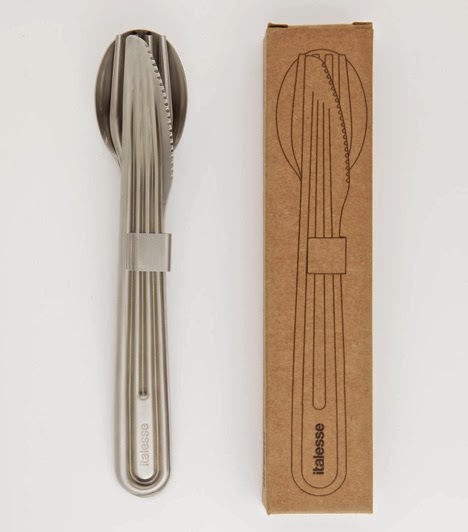 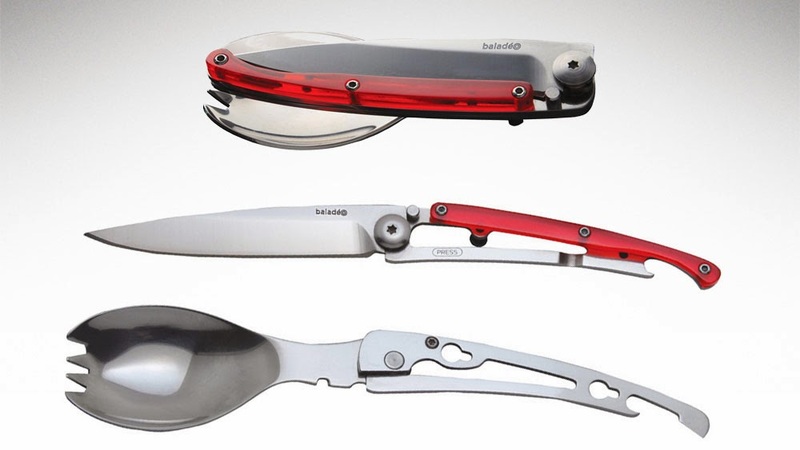 Baladeo Folding Cutlery Set: Baladeo's Eco133 Folding Cutlery set features a spork, knife, bottle opener and can opener; its made from stainless steel and weighs 52 grams. 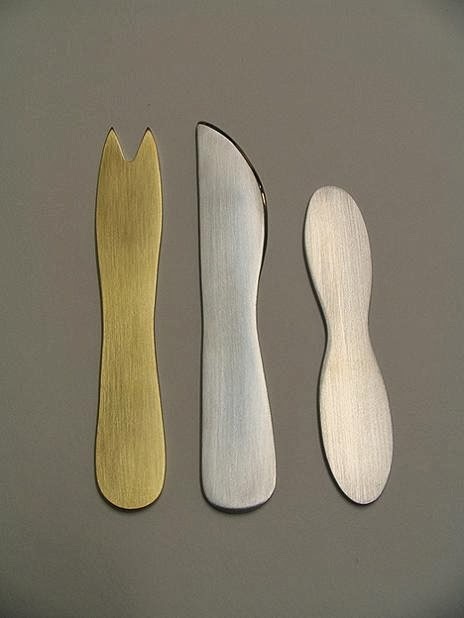 Silhouette Cutlery Series: The Silhouette Cutlery Series by Anneke van Bommel features a poutine fork, an icecream spoon and a knife in either stainless steel or 14 karat gold plate. 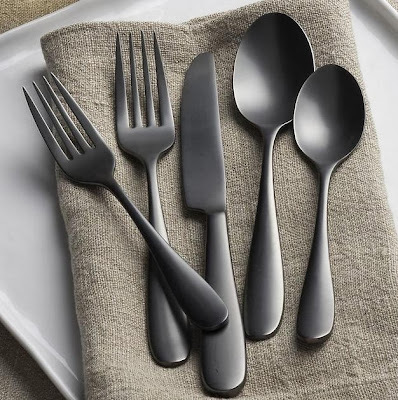 Titanium Finish Flatware: This handcrafted cutlery is coated with titanium finish that gives it an elegant chic matte black look. 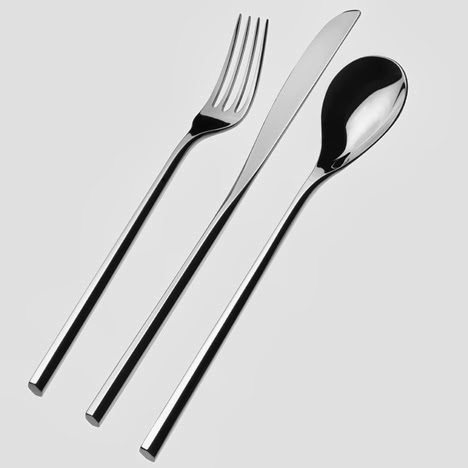 Matte Stainless Flatware: Arne Jacobsen, one of the leading Scandinavian architects and industrial designers of the 20th century designed this Matte Stainless Flatware. JOIN cutlery: This cutlery comes with a playful joining mechanism. Stamp Cutlery: The steel cutlery is held together with a small steel clip; it is designed for both indoor and outdoor use by Tomás Alonso for Italesse. Don't miss to check out "Modern and Unique Cutlery Designs - Part: 1| 2| 3." 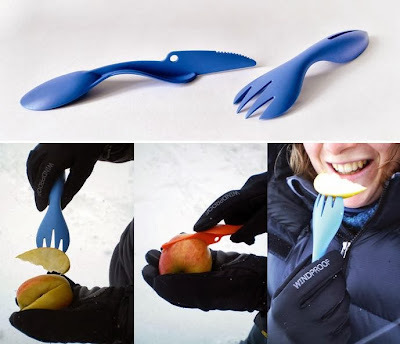 15 Creative Scarves and Unusual Scarf Designs - Part 2.